Something rarely talked about on these blogs (even though it has its own) is our RSTi. The perfect combination of car. 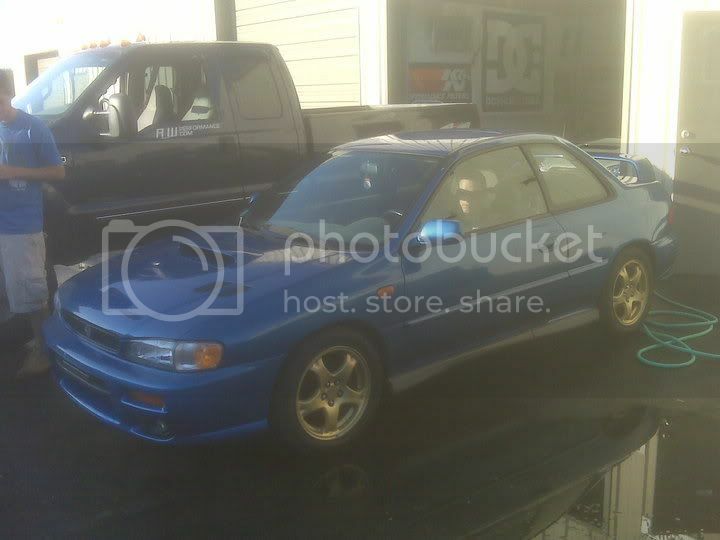 A 1998 Subaru Impreza 2.5RS meets 2004 Subaru Impreza WRX STi. Everything from the 04 STi has been swapped into the little RS. Rear subframehttps://ajwperformanceproductsblog.com steering rackhttps://ajwperformanceproductsblog.com spindleshttps://ajwperformanceproductsblog.com dashhttps://ajwperformanceproductsblog.com consolehttps://ajwperformanceproductsblog.com brakeshttps://ajwperformanceproductsblog.com and modified STi coilovers. While this has been a 2+ year process the goal is to get it done when we can and make sure its done as close to perfection as possible. 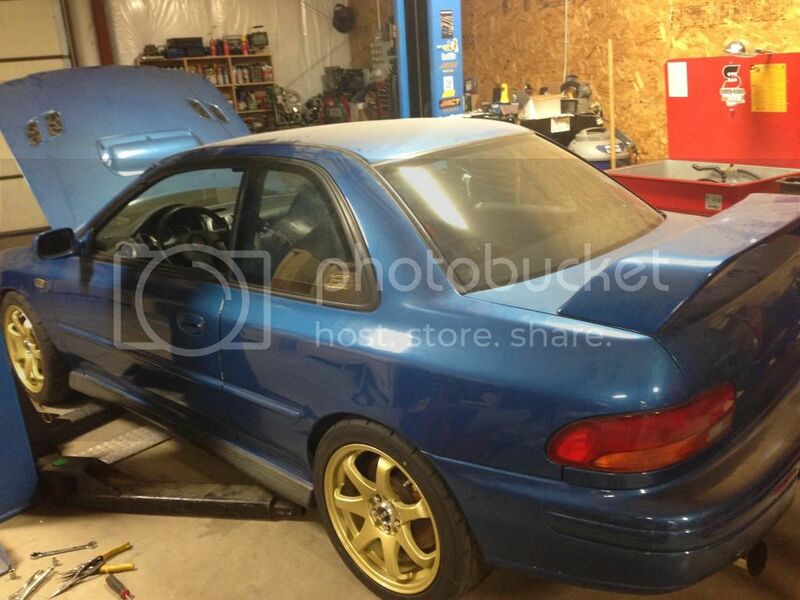 When the project first started it was going to be a full blown race car/show car. Recently the goal of the car has changed to a nice sleeper street car. As a resulthttps://ajwperformanceproductsblog.com the buckethttps://ajwperformanceproductsblog.com fixed back seats have been traded out for some STi seats with seatbelts. Basically just taking some steps to make the car have some better manners. The fenders have been rolled to allow the Dunlop Direzza Star Specs to have a life free of sidewall cutshttps://ajwperformanceproductsblog.com being slammed on ISC N1 Coilovers makes this thing handle on rails! The sideskirts have finally been installed and theres even talk of air conditioning in the car. Soon the car will be going down to Jay Perry to get a nice tune and then it will go into paint. Plans are to keep it the current blue or switch it to world rally blue and shave down the trim on the doors for a real sleekhttps://ajwperformanceproductsblog.com clean look. Check back shortly for some more updates! We officially have our vehicle dealer license! AJW Performance has recently obtained a retail dealer license in the State of New Hampshirehttps://ajwperformanceproductsblog.com and we have no limitations! The dealer license allows us to sell and buy in all states. We have access to all auctions and online sources for newhttps://ajwperformanceproductsblog.com used and slightly used cars. We have worked extremely hard for thishttps://ajwperformanceproductsblog.com we have had our fair share of ups and downs in MA and NH. It took about 8 months of sweathttps://ajwperformanceproductsblog.com blood and tears for AJW Performance to finally have a dealer license in the state of NH. This process has taken a total of 2 years to complete and succeedhttps://ajwperformanceproductsblog.com we always seemed to run into some type of silly issue with state regulations and requirements. We have dreamt of this day for a very long time. We are excited to finally pay it forward and help those that have helped us. We are more than willing to work around your needs and expectations. We promise to provide an exceptional service and excellent dealhttps://ajwperformanceproductsblog.com your wallet will thank us later. We want to share our hard work with everyone around ushttps://ajwperformanceproductsblog.com and most of all we want everyone not just ourselves to benefit from this. We hope to soon be able to offer in house financing as an alternativehttps://ajwperformanceproductsblog.com but at this time we are not licensed for that. No request is too big or too smallhttps://ajwperformanceproductsblog.com we want to help you find your new car. Let us know how we can help.